One of the most common procedures undertaken by women and men is chin and neck liposuction. Find out more about this procedure and the range of cosmetic procedures offered at Dr Lanzer’s Clinic. What Are the Many Different Types of Neck Procedures? There are numerous cosmetic procedures that can be implemented on the neck area. The general term for cosmetic procedures in the neck area is neck contouring, which includes procedures such as neck liposuction. Neck contouring enables the patient to achieve a healthier looking neck, making the face look considerably younger. With the help of neck contouring procedures, Dr Lanzer can give the chin and neck a firmer appearance. The procedure can also have a slimming effect, because the removal of excess tissue in the neck will make the patient look skinnier in the face. Which Patients Could Benefit from Chin and Neck Liposuction? Contrary to popular belief, chin and neck liposuction is not always chosen by people who struggle with an overweight. Quite the contrary, because most people in need of neck liposuction are on or around their target weight. No matter how healthy we live, skin starts to sag over the course of time and fat deposits will start building up where we do not want them. Neck liposuction enables patients to tackle such problem areas, which could not be reached by diet or exercise. What Is Involved in the Chin Liposuction Procedure? Chin and neck Liposuction is a procedure that can be implemented in various places of the human body. In addition to the neck, liposuction could also be executed on the abdomen, thighs, arms, etc. During a liposuction procedure, the surgeon will remove excess fat underneath the skin via suction. Since the treatment removes these fat cells directly, patients may expect an immediate change in body shape. For that reason, women & men who cho0se neck liposuction will be able to see the difference almost immediately. Liposuction of the chin & neck can be done in many ways as well. First, the surgeon may prepare the treatment area by injecting the area with a solution of anaesthetics and medication or could use high-frequency vibrations to break up the fat cells, which makes the removal of the fat easier too. Once the preparation has been completed, the surgeon will make a small incision on the treatment area; this is usually done in a place that will not be visible to the naked eye. The surgeon then attaches the suction tube to a dedicated vacuum machine and inserts the cannula through the incision. Chin and neck liposuction can be executed under general anaesthetic, but the surgeon may choose local anaesthetic if the treatment area is small. If you have any concerns about anaesthetics, or have some questions about anaesthetics, be sure to discuss them with your surgeon. Discover Liposuction of the Chin & Neck Advantages! An increasingly large amount of patients now opt for Chin and Neck Liposuction. This procedure is ideal for those that want to lose excess fat underneath the skin via suction and can expect a change in body shape after the surgery. 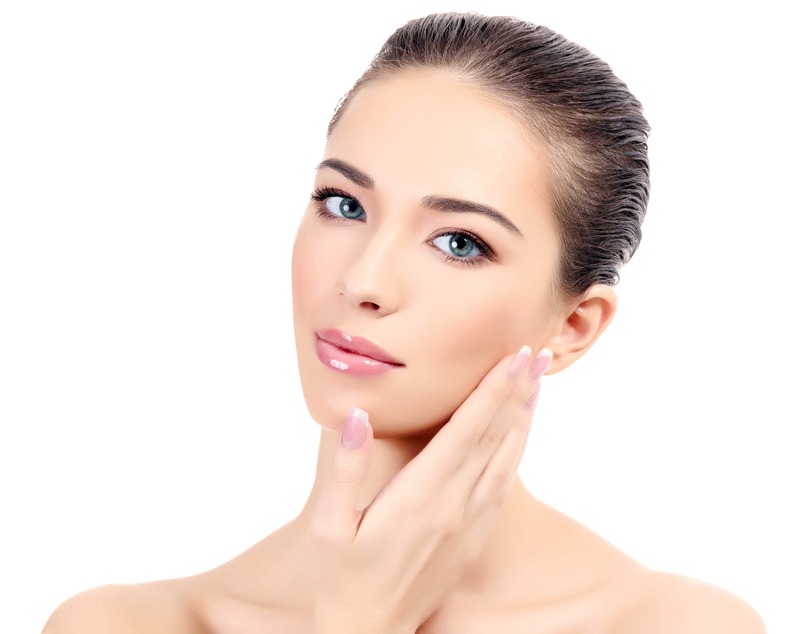 How Long Is Chin Liposuction Recovery? Recovery time is variable from patient to patient, since every patient heals in his or her own time after a chin liposuction. Of course, there are some things patients can do to promote their recovery after a chin liposuction. As with any kind of cosmetic procedure, some aftercare is needed to speed up the recovery process after the liposuction of the neck and chin. Before you leave the clinic, the treatment area will be bandaged; this to prevent infection and to promote the healing process. Most patients will be required to wear an elastic compression garment as well, which is applied to reduce the swelling after a procedure. Dr Lanzer performs liposculpture via tiny incisions, stitches are not required for most patients. Most patients will need some time to fully recover from a liposuction procedure, depending on the size of the area that has been treated. Patients who had a large amount of fat removed tend to need more time to recuperate than patients who only had a minimal amount of fat removed. However, most patients recover rather quickly from a neck liposuction. Often patients return to work after a few days. During the recovery process, you will notice some bruising and numbness in the treatment area. This is completely normal, as this is a part of the recovery process. Most surface bruising and numbness will dissipate over a period of a week. However, the deeper bruising or hardness can take six to eight weeks. Many patients will see a dramatic improvement within the first two weeks after their procedure. Some minor discomfort can be expected after a liposuction procedure as well. However, we do need to mention that the amount of discomfort can be associated with the amount of fat that has been removed from the body. The more areas fat is removed, the more discomfort a patient may experience afterwards; this because the body has undergone an instant and massive change it needs to adjust to. Any discomfort felt by the patient after a procedure can easily be tackled by using over-the-counter painkillers such as Paracetamol. If you are currently on any type of medication or need additional advice on pain medication after your procedure, be sure to discuss your concerns with Dr Lanzer. Can Liposuction Be a Treatment for Medical Conditions? Neck and chin liposuction is commonly associated with obesity and weight problems, but the treatment can also be used to tackle some medical problems. Health conditions such as lymphoedema, gynaecomastia, lipodystrophy syndrome and lipoedema can all be tackled with a liposuction procedure. The real benefit of liposuction is the fact it can remove fat deposits in the body that cannot be tackled by a healthy diet and exercise. The female or male neck is a good example of this, because a neck is extremely difficult to exercise. There could also be other factors contributing to your problems, for example genetics. Most patients who have liposuction are not that overweight but have areas that bother them. In conclusion, liposuction offers a solution to patients with a great variety of problems. Liposuction is never a solution to overweight, but it can give the patient a push in the right direction and kick-start a weight loss success story. It can give patients a shape that exercise alone could not achieve. The cost of a chin liposuction may vary from patient to patient, since there are various denominators that could affect the cost of treatment. Firstly, the cost of your treatment can depend on the experience of the surgeon. The treatment can also be affected by the complexity of the procedure and the amount of fat that must be removed. Therefore, it is always best to book a consultation with your cosmetic surgery clinic to determine the exact cost of chin liposuction. Can I Get Chin and Neck Liposuction? To determine your eligibility for a chin and neck liposuction, it is always recommended to make an appointment at the Dr Lanzer Clinic. During this appointment, Dr Lanzer can determine your eligibility for the procedure, but could also tell you more about the procedure itself. After the appointment, you can make an informed decision about chin and neck liposuction, and whether you should go ahead with it or not. Where Are Chin Liposuction Procedures Performed? Chin liposuction procedures can be performed at one of the Dr Lanzer Clinics across Australia. Book an appointment at the nearest Dr Lanzer Clinic and get familiar with our facilities and staff before you have your treatment. To make an appointment at the Dr Lanzer Clinic for chin liposuction, please contact our friendly team of receptionists via email, telephone, or the website contact form. Our receptionists will provide you with a suitable appointment.